I am regularly asked how I clean my brushes and all brushes in general, how I take care of them and store them. Today I am so happy to share all my tips and tricks with you! They are quite simple because I don’t have much time for elaborated techniques, what I do seems to work since so many years so I never had the feeling that I had to change something to make the brushes perform better, look better or last longer. I’ll share what I do to preserve them and extend their life span, I also added some related FAQ to answer some questions I often see on Instagram comments. The brushes I need to wash regularly are brushes I use, also many prototypes I test and many brushes from other brands, from very affordable to very high end, natural and synthetic. I have to wash so many brushes regularly, if I had a very elaborated technique the whole process would take me too long and I wouldn’t be able to do it myself. My daughter is eager to help but definitely “not yet”… There are many ways and many products we can safely use to clean our brushes, there are also probably more interesting ways than mine but my way is simple, fast and cheap, it matches my needs and fits easily in my available time. In the past I loved to spend time cleaning brushes, it was relaxing and I enjoyed it, now I have to do it quickly but as always, with lots of care and attention! I had this post in mind for a while and a few months ago I started to purchase new cleansing products to test, I wanted to give you comparisons of results but I have only used these new products a couple of times, to be honest they did not impressed me much anyway… At this moment I am working on a new project, I am constantly using and washing lots of brushes, if I change the cleaning products in the middle of this project I cannot really consistently evaluate the performance and tuning of the brushes. It’s important that nothing changes during this phase, once this phase is complete I may continue giving those new soaps a second chance and a deeper longer test. Wet the head of the brush with lukewarm water, give gentle strokes on a solid soap, work soap into the brush with fingertips, if desired swirl onto a silicone pad with the best technique for the shape of the brush, rinse very well under running water, squeeze water out, wipe the excess water with a paper towel and lay down the brush to dry. If the water is too cold, the oils and make-up residue on the brush won’t dissolve and clean as well. If the water is too hot it may alter the dye and the glue, sometimes companies don’t use glue (they have other methods) but you should always act as if the bristles were sealed with glue inside the ferrule. No need to load too much soap on the brush if that is not necessary, do it by stages, if the first wash-rinse didn’t properly clean the brush, do it again but if you load the brush with too much soap you’ll struggle to rinse it and leaving soap residue is not good for the brush. “Silicone pad”: prefer a gentle silicone mat or pad over a hard plastic one. The way you are going to swirl the brush onto the pad depends on the shape of the brush. It is going to be better for a round brush, to use circular motions, if it’s flat one, use swipe motions. Do it in the same way you would use the brush. Whatever you do, don’t put too much pressure specially when it’s not the most appropriate movement for the head or it will break or damage the bristles and it will cause shedding. I prefer to use a solid soap versus a liquid version, faster when I am in a rush, it’s more practical and travel friendly. In the past I was using a very gentle “savon de marseille”, it worked really well. Here in Switzerland it was difficult to access Sephora products and that soap worked nicely. Now I switched to other solid soaps, it’s a bit easier for me to stock up on them and they are so handy, they come in their little containers with a mini silicone pad. I always keep a little soap in its container behind the sink in the kitchen, if I am waiting for something to heat or cook, I pick up a couple of brushes and quickly give them a wash. Every minute counts! 😀 Always clean the soap after use and let dry before closing the lid. The big Beautyblender solid pro is 12ml, costs 45$. I love to use this soap specially when washing goat brushes and synthetic foundation brushes that are quite dense and stained, it’s efficient with very dirty brushes. The normalBeautyblender solid is also efficient and handy, I did not find the link to this same one with the see-through container but I believe they are the same. I have not tried the liquid version of this Beautyblender soap yet. 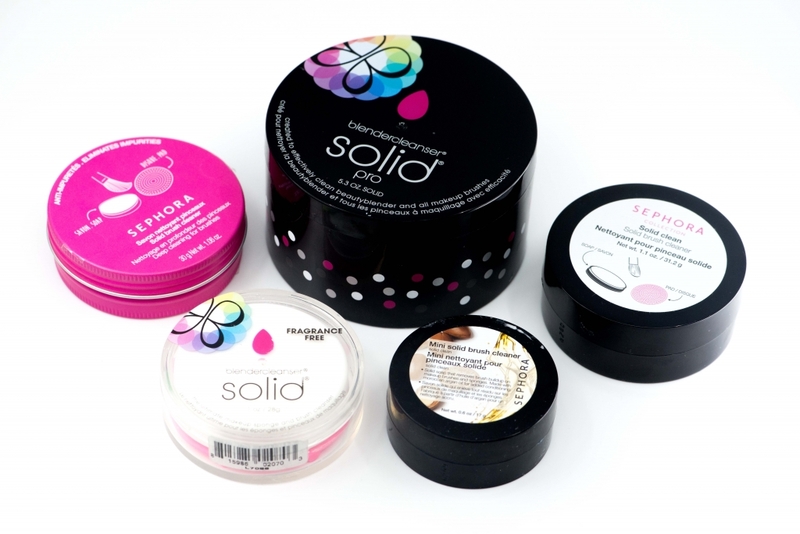 The Sephora Solid Clean comes in two sizes, I love the tiny version that I can take with me when I travel, it doesn’t last long for a daily use but if you don’t have too many brushes or you want a nice solid soap to travel with, this is so appropriate. When I ask a friend or relative to get me a solid brush soap from Sephora I always get different versions, the ingredients may change slightly. Depending on your country the versions you can find may be a bit different. I prefer to use a solid soap for practical reasons but for squirrel brushes and when I have many brushes to wash at once, I use a liquid version. In the past I was using liquid soaps that were directly from brush brands (for ex. Kashoen), but they are often difficult to order and expensive. 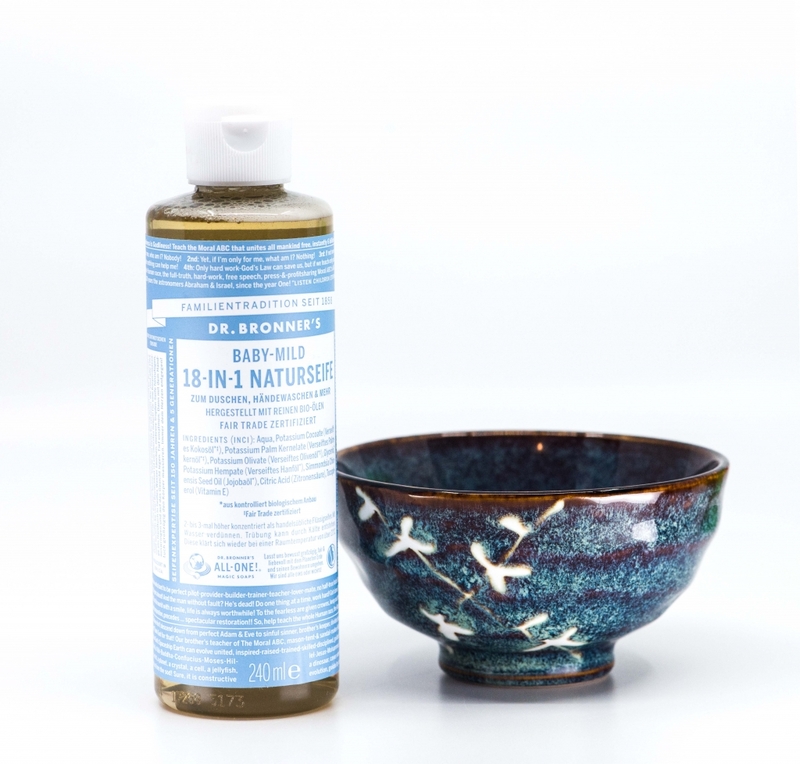 Recently I was finally able to find the Dr Bronner’s liquid soap here in Switzerland. Some of you recommended it to me and I really love it. I use it with all brushes, natural and synthetic. 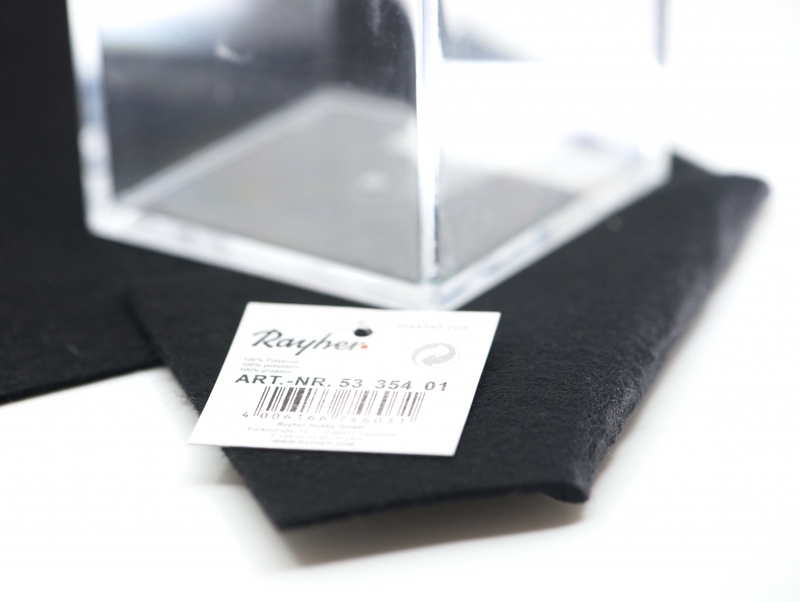 I order this brand on Globus.ch (Swiss shop). I have the feeling that with the hard water that I have here this soap and liquid wash is more appropriate for the squirrel bristles versus the solid ones, but this Bronner seems to have quite similar ingredients (bio, probably more gentle as less chemical…), I am not an expert on ingredients and this is the only version I was able to try up to today, there are many more. You are very welcome to leave your thoughts and feedback in the comments! Beautyblender solid Sodium Palmate, Sodium Palm Kernelate, Water, Glycerin, Coconut Acid, Titanium Dioxide (Cl7789),Palmitic Acid, Fragrance, Sodium Chloride, Tetrasodium EDTA, Tetrasodium Etidronate, Aloe Barbadensis Leaf Juice Powder. Beautyblender solid pro Sodium Palmate, Sodium Palm Kernelate, Water, Glycerin, Coconut Acid, Titanium Dioxide (Ci 77891), Palmitic Acid, Fragrance, Sodium Chloride, Tetrasodium EDTA, Tetrasodium Etidronate, Aloe Barbadensis Leaf Juice Powder. When I use a liquid soap, I mix a little quantity in a cup with lukewarm water and dip the head of the brush in it. Whatever soap you are using, check that it doesn’t leave residue on the bristles, that the brushes feel soft, their shape is not altered and that they perform nicely keeping the grip on the product. “Rinse very well” That’s very important. If you want the brush to last longer rinse it well under running water, work your fingertips gently into the brush or use the silicone pad if you prefer. If possible avoid to wet the ferrule, I know it’s kind of impossible but just don’t let it wet while you do the next one, just rinse, squeeze and remove excess water as fast as you can. “Squeeze water out” Squeeze the head of the brush but don’t squeeze the ferrule as it can bend and alter the shape of the brush. If the ferrule is altered the brush may lose its softness and efficiency because the bristles won’t be pointing into the direction they were meant to when they were bundled together. “Remove the excess water” Use a clean towel or a paper towel. I use the kitchen roll, the more water you are able to remove off the brush, the faster it will dry and the better it is for the components inside the ferrule. While still wet, shape the brush head with the fingertips and if you can pay them a visit or two while they dry, move the bristles a bit and reshape them, it will reduce the drying time. If you have hard water like I do here, they will take longer to dry, but the softer the water, the easier it is to wash and dry a brush! I lay them down on the edge of my desk or vanity on the paper towel so that the head does not touch the surface, it lets the head take its natural shape with no flat sides when dry. You can of course dry them upside down (head down! ), there are many tools that help you do that, I have a selection of them but don’t really reach for them. With many brushes to wash it’s more time consuming and I don’t have the space for them. Never use a hairdryer, don’t leave your brushes exposed at direct sunlight, either wet or dry. The brushes have to dry in a place preferably not humid and of course not in direct sunlight. Make sure that the brushes are completely and entirely dry before you put them back in a drawer, if you don’t make sure they are dry they will increase the humidity inside the drawer and they can get damaged and damage the ones nearby. All brushes have a life span but if you take great care of them they will last a very long time. They also need to be used (more on this topic further down) and the more you use a brush the better it should perform as it adapts to your technique and blooms nicely. After you wash a brush with soap, it should remove 99% of bacteria or close… but if you need to sanitize a brush with alcohol or a special product, don’t spray it directly on the head, spray it on a paper towel and wipe the brush on it, then let dry. If you are a make-up artist this is quite important and you may need to do it frequently. I don’t often use cleansing sprays but if you want to use them, spray them on a cloth or towel, then swirl the brush onto the towel either in circular motions or swipe depending on the shape of the brush. Don’t spray directly on the brush or if you do, hold the brush in a way that it protects the handle, if it’s a special handle, the paint, coating or lacquer may get altered in the longer term as these sprays tend to contain ethanol/alcohol. If it’s only for me, I just use a towel to wipe the brush. 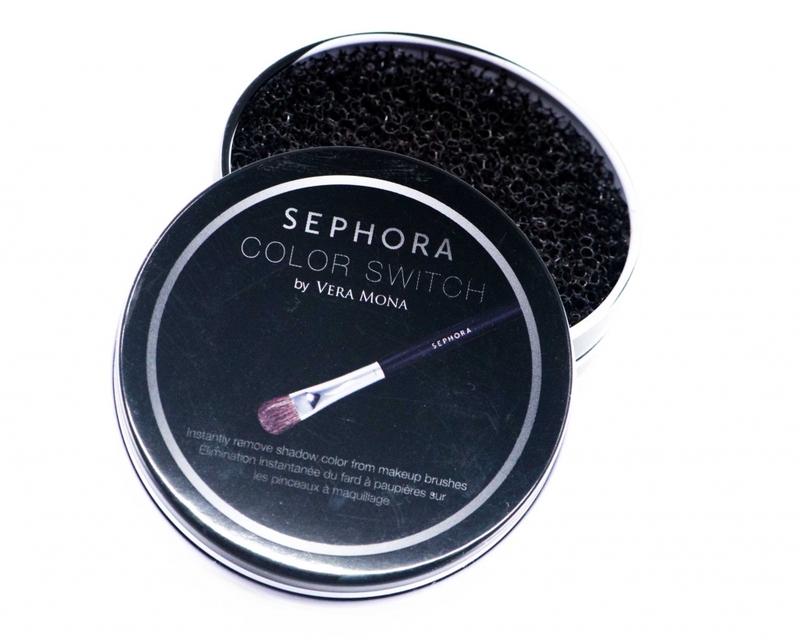 A dear friend gifted me the Sephora color switch by Vera Mona, this sponge is used to wipe the product off the brush (while dry), it’s really handy when we want to switch to the next colour. However, use it with care, I talked to the manufacture about it and they think it’s harsh with more luxurious natural brushes as the bristles are finer, specially squirrel ones so use it at your own risks. I use it with the less delicate brushes with thicker bristles. I have seen some people wildly tapping off excess product against sharp edges. 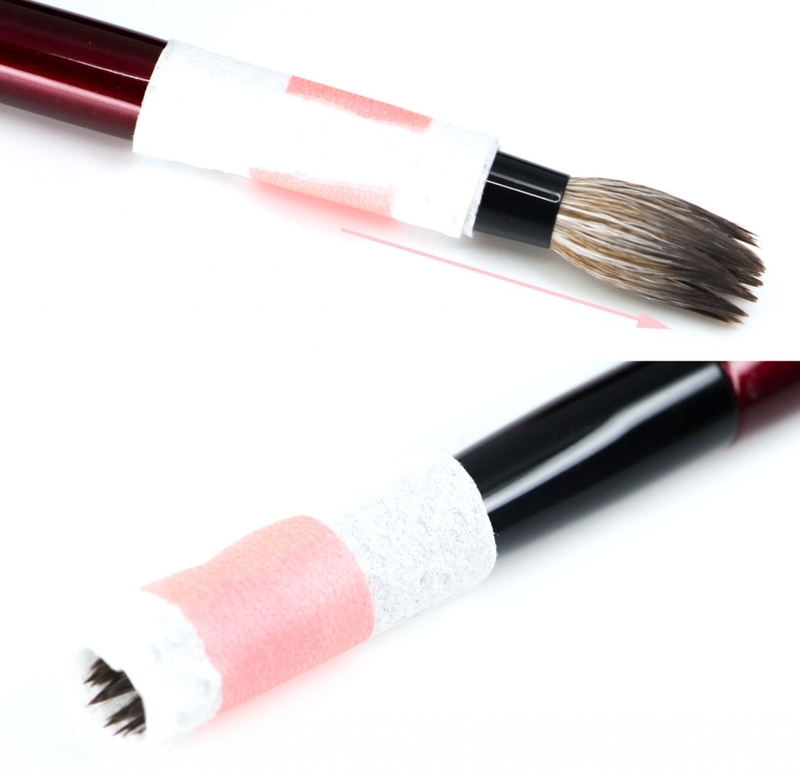 Depending on the brush this can have side effects, it can weaken the connection between the handle and the ferrule, if it’s a higher end brush with lacquer or a nice painting or coating it can damage it. I keep a towel on the vanity so the handle doesn’t directly hit a sharp edge and it’s less harsh for the brush if you tap at the level of the ferrule and not the handle. 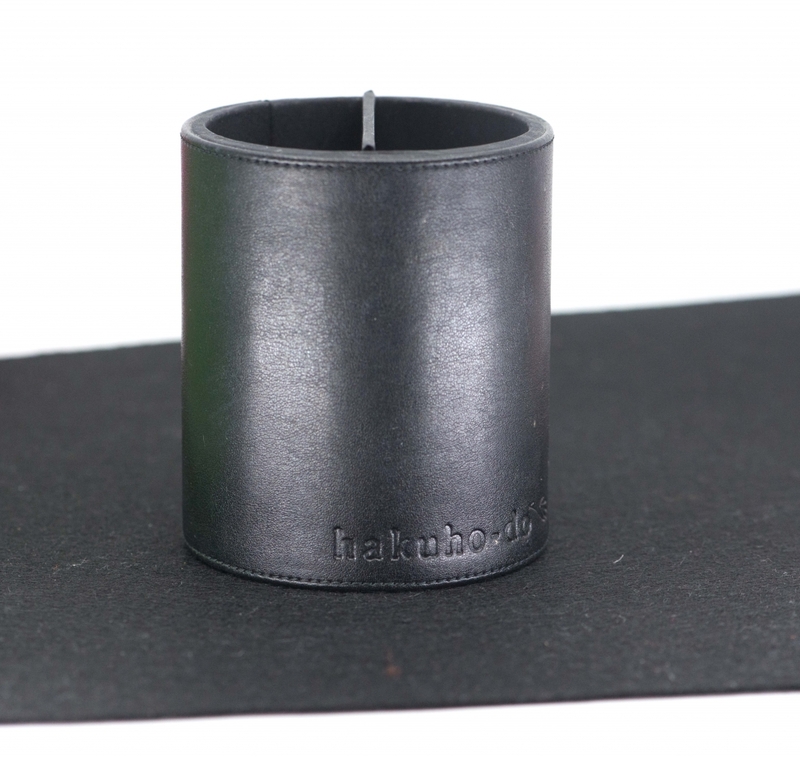 I recommend using wooden holders or more cosy leather-like holders when you can because those would really be gentle on their bottoms… We are going to hit the handles many times and if you want to preserve them this would help a lot. You can also place a thick protective fabric at the bottom, I bought some here and custom cut them to fit my harder plastic holders. Maybe you can find silicone “bottoms” or silicone to cut, that would be actually really excellent. If you plan to buy backups of brushes that you really love but don’t plan on using those brushes just now, leave them untouched in their original sleeves, I would recommend in a closed box with some anti-humidity little bags but keep in mind that it’s best for the life span of the brush to use it, so rotate them if you can. If you are a collector you’ll have to be extremely careful with the storage. 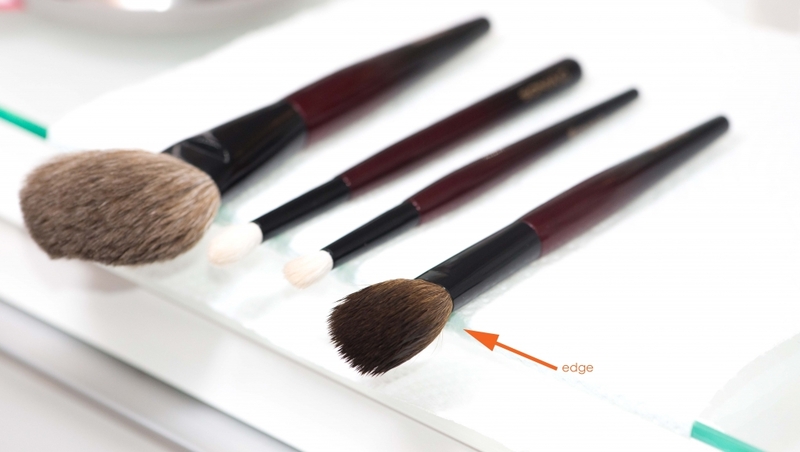 Store the brushes away from the dust and in a very dry place, it’s exceptionally important! Invest in some reusable dehumidifiers for example, these are fantastic to fight moisture in the drawers with low ventilation. Put some in the drawers where you keep your brushes or make-up or anything you want to keep safe actually, it will preserve the contents. I place one small 150g in each drawer. I use the Pingi 150g in the drawers (up to 3m3) and the 250g in the cupboards. If you have electronic equipment (cameras, etc) in a cupboard the 250g is great. You can reactivate them once they changed color to pink/beige but please be careful and follow the vendor’s instructions. I think they have a life span of 2 years before you need to get new ones. If you store your brushes flat, it’s better that you put something underneath their ferrule to avoid the brush head touching the surface. Do I need to wash the brushes before I use them even if they are new? The brushes come sanitized with special techniques depending on the manufacture; I saw many different ways when I was over. 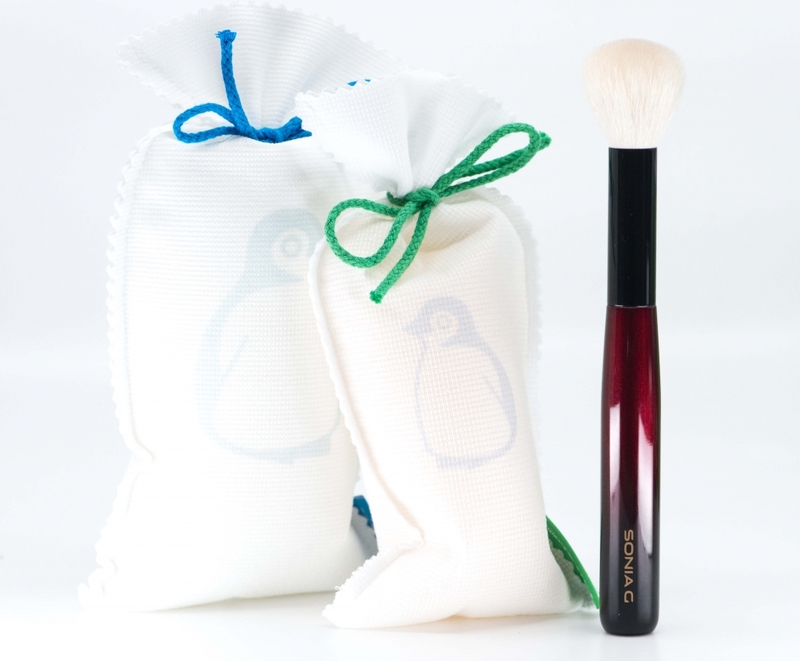 Once the brushes are ready to be packaged, the Kumano manufactures prepare them and put a special glue made of seaweed on the bristles, not necessarily on all the brushes but just those likely to be damaged in transport, this prevents the bristles from flaring out. So, they come “clean” but they may have gathered dust during transport or storage, also the brushes often come compacted and too tight, washing them makes them “open and bloom”, you’ll start with a brush that is closest to its final shape and it will also perform better. For me, there is no question here; they need to be washed before they are first used. If you are a make-up artist when you switch customer, maybe spot cleaning them is enough in between but at the end of the day I would recommend a deep water wash. If you use the brushes only on yourself, then it depends. 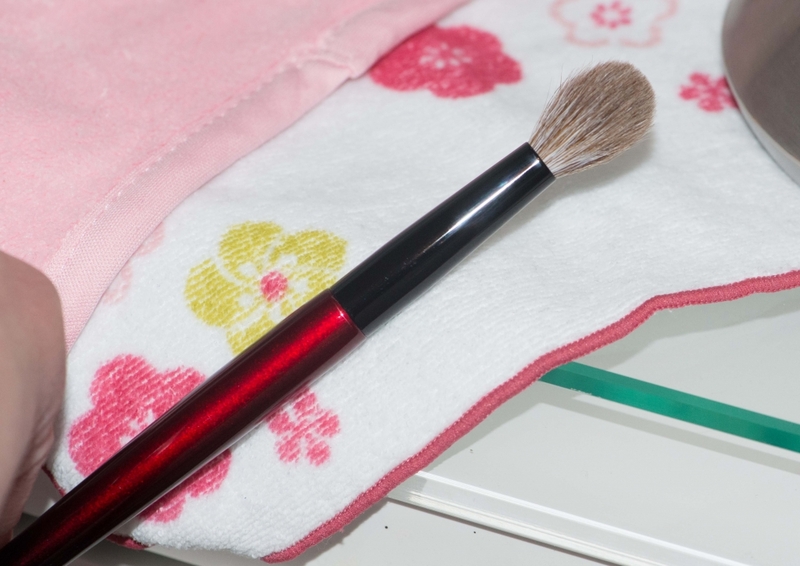 After each use I wipe my brushes on a towel to remove residue and oils anyway so they last quite a while. Squirrel brushes I wash them either before I put them back in the drawer or after 1 or 2 months, depending how they look, if a brush looks disgusting, there is no question that it has to be washed straight away. The manufactures often recommended me to wash the squirrel brushes not frequently (target every 3 to 4 months) but I can’t wait that long. By the way, if a brush makes you break out, oh dear, wash it and sanitize it immediately. Other natural brushes (goat, horse, pony, etc) I wash them depending on how regularly I have used them. If they are white I wash them more frequently compared to darker bristles. I use a brush for a week before I feel the need to wash it. 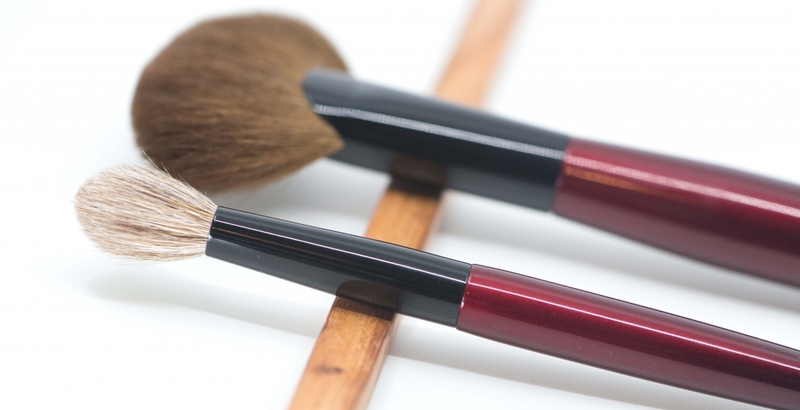 For foundation brushes it depends how they perform when dirty and how much bacteria your skin can tolerate…. Some foundation brushes lose their efficiency just when they were used once, others you can use them 3 to 4 times before they start to lack efficiency as the bristles stick together, they stop to blend well and leave a streaky application. It’s something you have to feel. I use mine 3 times in average before I wash them. For cream brushes for face or eyes, same comments as for the foundation brush, it depends how much you can take and how the brush performs. Some brushes can really nicely handle being dirty and performing with residue on the bristles, so it’s a case-by-case basis. How much is a brush supposed to shed? 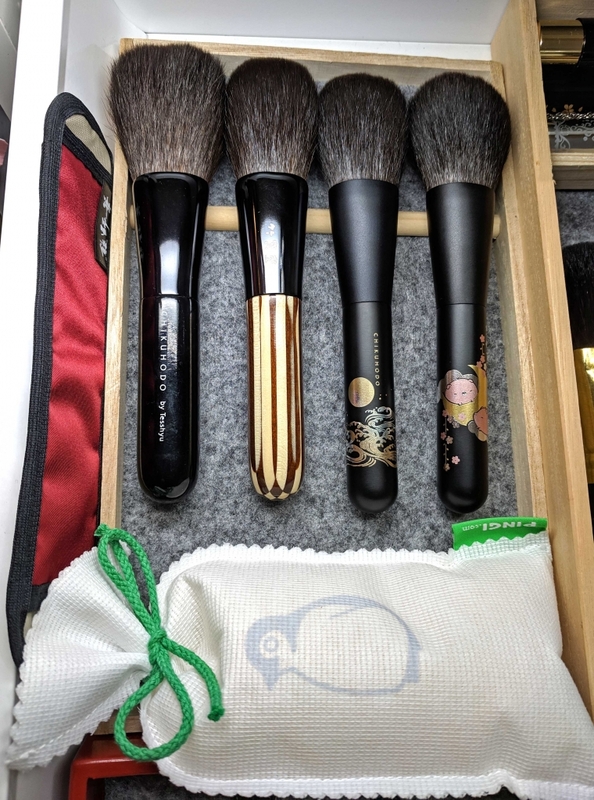 There is a finishing process done by hand with a razor (kamisori) on each brush where the artisan removes all weak and unattached bristles from the brush. Just to reassure you, the razor is not sharp, it does not cut the bristles, it’s just used to press the finger against it and pull the weak bristles out. Sometimes the brushes are so dense that this process is a bit more complex and the brush may still need some time and some usage to release those weaker bristles – they are supposed to come out. I have asked how much a brush can shed before it’s considered faulty but I never had a clear measurable answer. If you apply your make-up and there are bristles always sticking to your face, I don’t consider this normal. If you wash it several times and this still happens, maybe there is a problem either with the manufacturing, or something happened with the glue, or maybe something else is causing the brush to not stay stable. Other causes of shedding: – The technique you use should ideally correspond to the shape of the brush. Round ferrule=circular motions, flat brush=pat and swipe motions but that is not a general rule, some brushes are oval and can be used multiple ways . If you use or wash a brush with a movement that is not appropriate it can weaken the bristles. 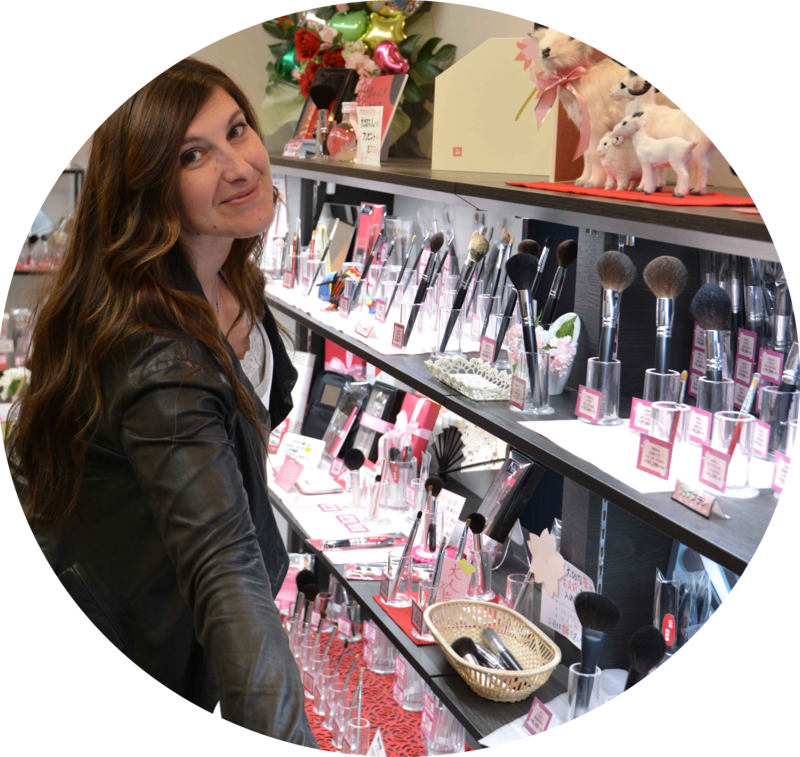 – If a brush is very soft or floppy don’t use it with stubborn products, the more you bend the bristles or force them onto the products the worst it is for the brush. – When using a brush on the face or the eyes, you shouldn’t need to put extreme force on the tip and over bend the bristles, it should apply and blend with normal pressure, if it doesn’t pick enough product or blend properly, switch to thicker bristles or a denser brush for example. – When washing a brush, don’t put extreme force on the soap either, or don’t pull the bristles or don’t leave the brush wet for a long time and avoid soap residue on the bristles. 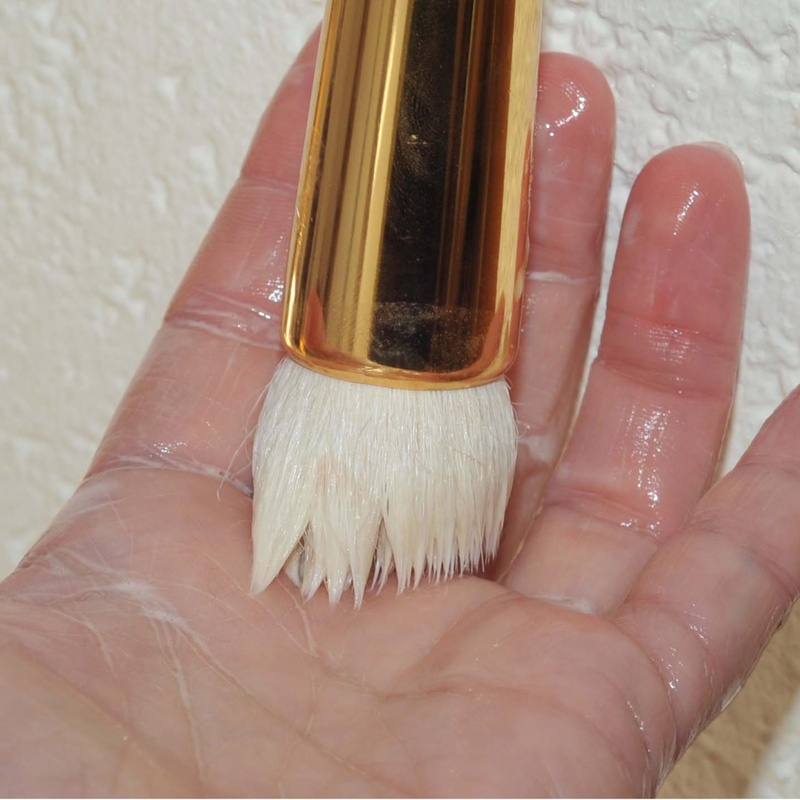 – Don’t store your brushes in the bathroom or in humid places, this will weaken the glue inside the ferrule and it won’t keep the bristles in place. I hope this was useful and helps you! If you have questions or methods you’ll love to share, please do not hesitate! It’s a big topic, if you managed to get to the end of it I am very impressed!!!! Thank you!! 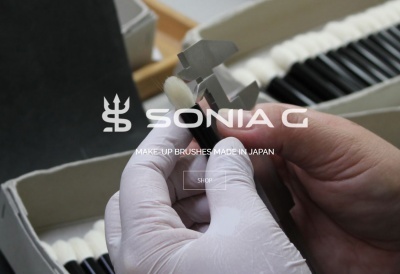 This post is also on my sonia g blog (soniag.sweetmakeuptemptations.com) since it concerns both the caring of my own brushes and any other brush from affordable to very high end. Cleaning, caring, storing was last modified: March 30th, 2019 by Sonia G.
Thank you for this wonderful guide to washing brushes. I so love your writing! I always use a fine-tooth comb to comb through the brush hairs after they are washed, is this a bad idea? Is it harmful for the brushes? Hi Lilliane, thank you!! It’s not a bad idea at all, do you do it when they are dry? it’s better when they are dry. That is very good to know, thank you! I comb through the bristles while they are dripping wet, because it helps to see if all the soap is completely removed from the bristles.